A powerful motor makes for a more reliable and versatile machine and most manufacturers will quote its size in horsepower (HP) or watts (W). A powerful motor is usually an indicator of a machine which is capable of handling heavy usage and delivering the power to vibrate the plate at a higher amplitude. A bigger motor will also be quieter and smoother as it won’t have to work as hard to deliver the necessary power as a smaller machine. If you’re looking to work out without loud noise, consider a vibration plate with a bigger motor. Check out the size of the vibration plate as the bigger the plate the more exercises you can do and in more comfort. A bigger plate will require a larger motor and these are more expensive machines but worth it if you want a varied workout. Some vibration plates come with preset programs. These specifically designed workouts will control your machine and automatically alter the settings to save you having to press the buttons yourself. It makes life easier and offers a less stressful workout at home. The frequency is measured in impulses per second and shows how fast the plate can vibrate. For example, at 60 hz the plate will move up and down 60 times a second. This is important and the wider the range the better. The higher the frequency, the harder the workout will be as the force applied to your muscles and bones increases, a lower frequency is advisable to start with and for working with injuries. Lower frequencies can also be used for massage in place of a serious workout. The amplitude is the distance that the plate travels from the lowest to the highest position. The higher the amplitude the more intense the workout will be. Some of the higher priced models give you the option to change the amplitude level therefore increasing the variation of the workouts. The best way to train is by increasing the frequency gradually. Beginners are advised to start with nine minutes of the resistance programme, followed by nine minutes of the stretch, massage and relaxation programme, both on the lower frequency and amplitude settings. You must stand in a position which doesn’t strain the muscles For example, if you're doing the squat position, have your knees bent and lean from the hips, as if you are about to sit on a chair. Keeping your knees slightly bent will also avoid jarring through the joints. Choose a variety of compound exercises (such as squats and push-ups, which use more than one muscle group) and isolation exercises (biceps curls and front raises). You will start to see a better training response and it will help to burn calories. 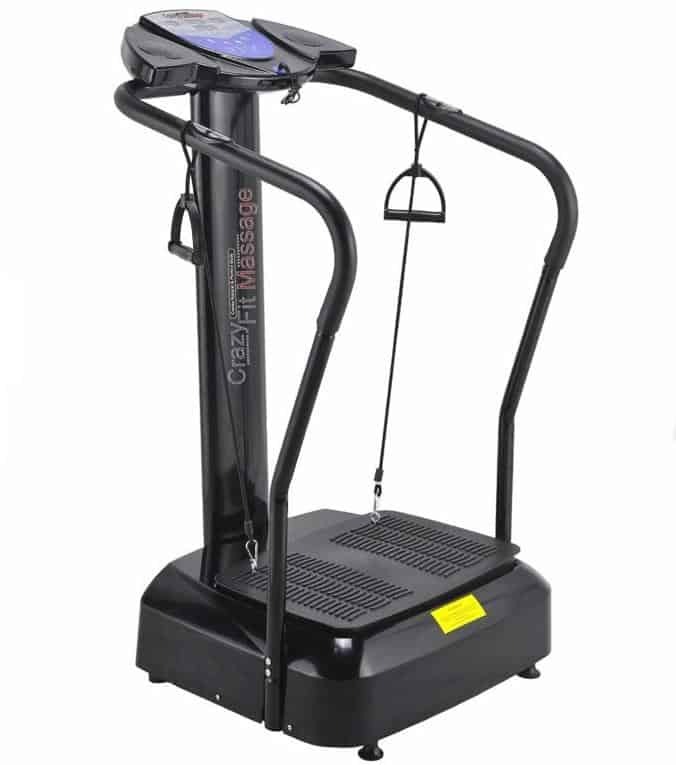 The huge 3900w vibration plate by Bluefin is an upright version of the 2500w floor standing model. 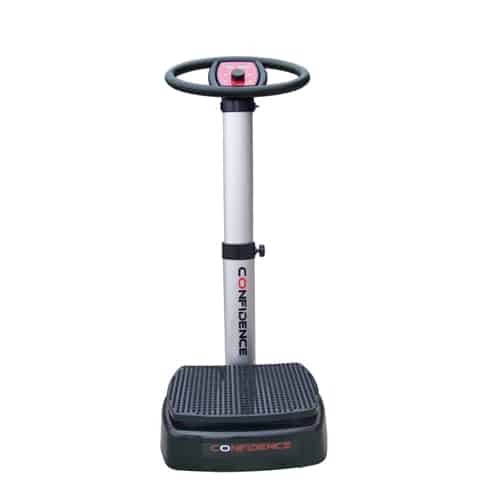 It has a bigger engine which is smoother and quieter and comes with a hand rail and elasticated hand grips.With this machine, you get to choose from 180 different intensity levels and 5 preset programs. It is operated with a control panel so a remote control isn’t needed. This vibration plate features a 600w motor and works smoothly and efficiently. You can choose from 50 different speed settings and three built-in programs make it easy to get started if you are new to using a vibration plate. It has a striking appearance and sturdy construction, the only downfalls are that it could be light and more portable. 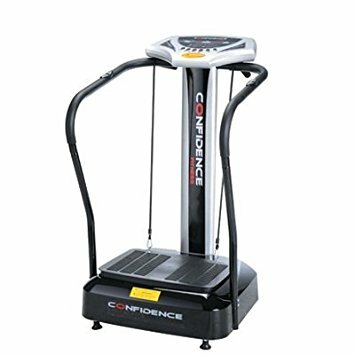 The Confidence Pro Fitness Vibration Plate Trainer has 600w of power and 50 varied speed settings. It also has BMI sensors which help monitor the results of your workout. If you’re looking for a quick session, you can get a full body workout in just ten minutes. The flaws of this vibration plate is that over time the construction can become less sturdy. This sleek, versatile and user friendly vibration plate is a great piece of portable home gym fitness equipment. 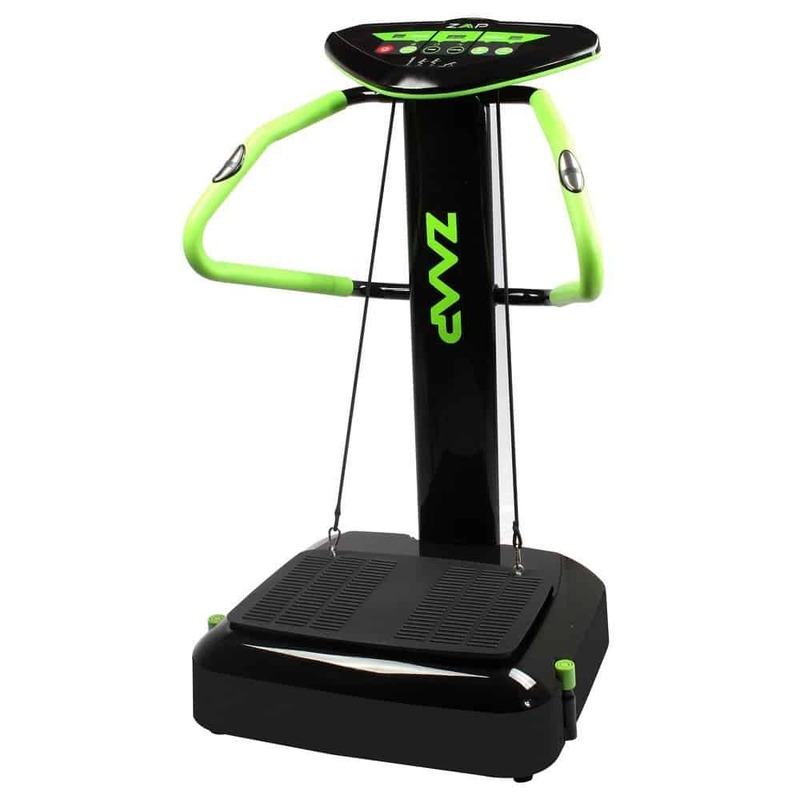 It is built for safety and comes with adjustable feet for uneven surfaces, which is great for using it wherever you feel like working out. It can also be easily stores and has a remote control for adjusting the time, speed and programs. However, become it is a budget price, it isn’t suitable for more than light workouts. 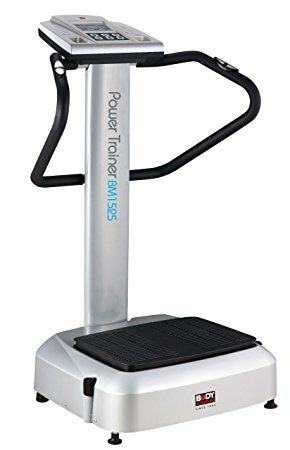 In summary, these five vibration plates have all made the top five due to their easy of use, extensive levels or good value for money. When comparing the five machines, the clear winner has to be the Bluefin Pro Fitness Plate as it is the most powerful and has the most intensity levels available. If you’re looking to get a varied workout with good results, the Bluefin Pro Fitness Plate is an ideal choice!